Rafa Nasiri graduated from the Institute of Fine Arts, Baghdad,with a diploma in painting in 1959. From 1959 to 1963, he studied printmaking at Central Academy of Fine Arts, in Beijing, receiving a BA in the subject. 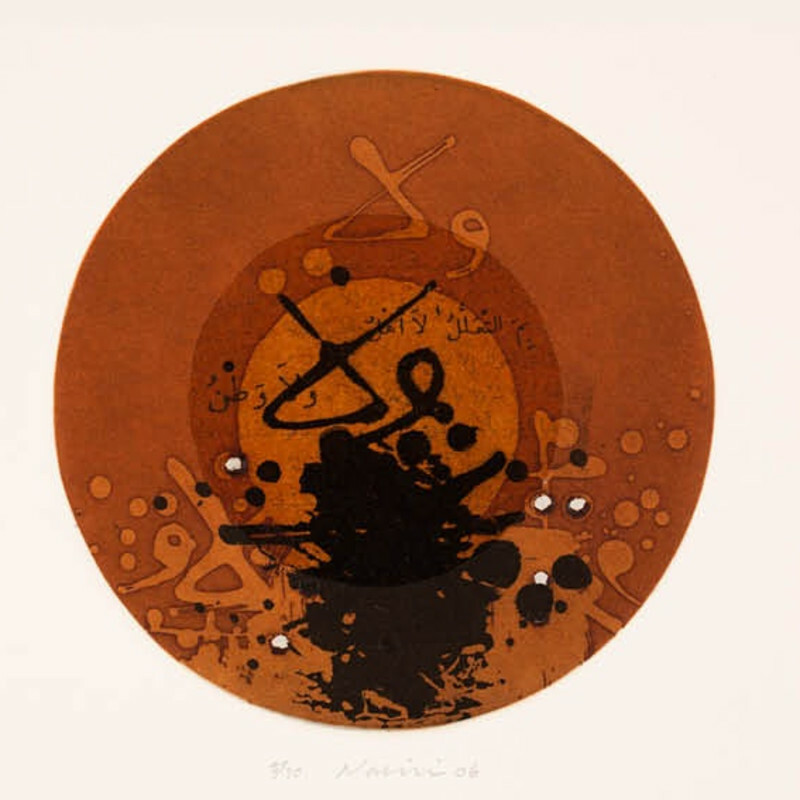 Nasiri’s exposure to Chinese art, more specifically the ink paintings of Qi Baishi and the works of his teacher Huang Yu Yi, has had a lasting impact on his work and his exploration of calligraphic forms and words. In 1969, he received a scholarship from the Gulbenkian Foundation to study at The Gravura, Lisbon, receiving a diploma in printmaking the same year. Upon his return to Baghdad, he co-founded the New Vision Group and was later head of the Graphic Department at the Institute of Fine Arts. Nasiri also taught at the University of Yarmouk and the University of Bahrain for a number of years. He has been highly influential in encouraging later generations of Iraqi artists to explore the art of printmaking. He has also written many essays and books on modern Iraqi art.